Teenagers in the North East looking to break through in football are being given the chance to do so while also getting an education that can serve them well, should they not make the grade. The Foundation of Light's football scholarship gives 16-18-year-olds the opportunity to represent Sunderland AFC as well as gain nationally recognised qualifications through an intensive football and education programme, and from next season, female footballers will be part of the programme. One hundred students are in the first year of working towards a full-time BTEC Level 3 National Diploma in Sport Performance and Excellence under the expert guidance of the Foundation's further education officers. “Discipline, attendance, punctuality, life skills – you’re learning it and it is making you a better person for the wider world, when you leave here,” Aaron Thompson, one of the students, told BBC’s Match of the Day for its regular community feature. In addition to progressing academically, students compete in the FA National Under-19 Development League against other Premier League and English Football League development players, but they prepare for life in case their dreams do not become reality. “You got to look at wider options and cannot just depend on your football ability because if that doesn’t come off you need something to fall back on,” explained another student, Lewis King, on his reason for doing the course. The Foundation of Light is recruiting for next season and has expanded the programme to include female footballers. "This is a unique opportunity for talented young female players who want to develop a career within the game and gain nationally recognised qualifications," Martin Jones, football scholarship manager, said. 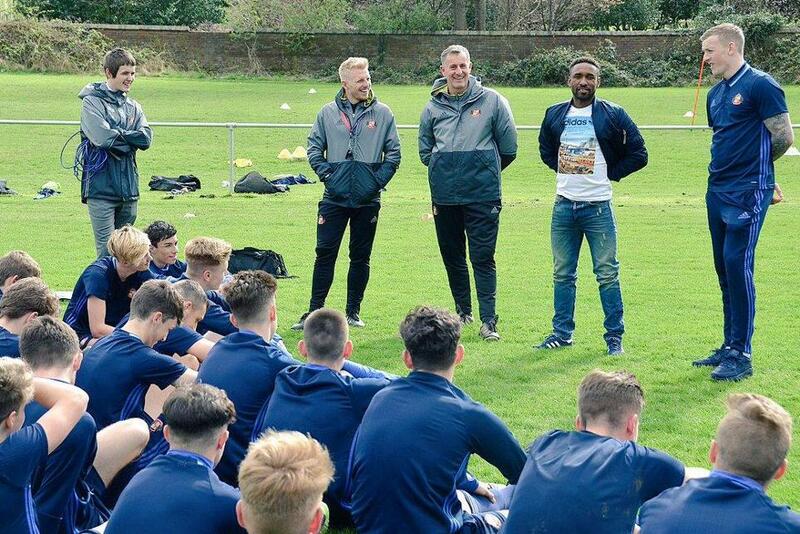 Ahead of their Premier League match at home to Manchester United on Sunday, Sunderland’s Jordan Pickford and Jermain Defoe met the students at Monkwearmouth Academy and were able to give them valuable tips. "You always want to give something back and it's nice to be able to give them tips and hopefully they can take them into training," Defoe said, citing the influence Ian Wright had on him at West Ham United when he was a similar age to the students. "Even to this day I will also remember what he [Ian] said, so I hope they've listened."